TechRadar understands that the price of every Xbox 360 SKU is to be slashed by €50 on 14 March across Europe, according to numerous well-placed games industry sources. We have corroborated this story with numerous UK retailers this morning, who agree that the 360 price is set to be slashed on this date. The rumour is that the price cut will be in the region of €50 per SKU (£38.26 at the current exchange rate) which we will confirm as soon as we find a retailer willing to go on record. Microsoft has of course responded with a swift 'no comment' when we contacted the company this morning. This effectively means that the cost of the Xbox 360 Elite system on Amazon will be in the region of £240 and the basic Arcade system (without a hard drive) will cost in the region of £150. The news follows recent 360 price cuts by Microsoft in Canada. 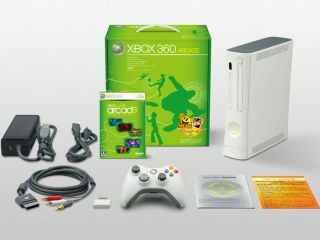 All this means that the Xbox 360 is to be cheaper than the Nintendo Wii this coming Easter. Trade magazine MCV notes that the price cut, "will allow its lower-spec Arcade model to compete with Nintendo’s Wii on price." TechRadar spoke to a Gamestation store manager earlier today who expressed surprise that a price cut was being introduced. “We are currently selling the Elite plus one game at £330, the Premium system with any game at £280 or £260 with FIFA Street or Assassin’s Creed and the Arcade version for £230 with any game or £220 with FIFA Street,” the retailer told us. Knock around £40 off those prices and you have what is clearly this Easter’s biggest gaming bargain. “I might even buy one myself now,” the store manager quipped. Tony Mott, editor of Edge told TechRadar today: "It's no secret that Microsoft is desperately keen to broaden the Xbox 360 user base, which is mostly made up of committed gamers, but it has neither the breadth of Nintendo's software range nor the consumer awareness enjoyed by Sony, so it's been a difficult push. The simplest way of reaching more consumers is to aggressively cut prices, so this move makes a lot of sense. As for Sony or Nintendo following suit, it certainly won't happen in the short term." Of course, this begs the question: What new iteration of the Xbox 360 does Microsoft currently have in the works and when will it be released? Rest assured we will be the first to let you know the answers to both of those questions as soon as we find out. The games industry rumour mill is already discussing the new Opus and Valhalla 360 motherboards. In the meantime, if you have still to buy yourself a 360 to enjoy the wonder that is Rez HD on Xbox Live Arcade, then you really do have no excuse this coming Easter.